On-prem vs Cloud-based security? It’s an ongoing debate that SecOps teams face daily. With cloud adoption continuing to be a top business initiative, SecOps teams must adapt or risk falling behind. As most on-prem security tools don’t work in the cloud and suffer limitations, SecOps teams are faced with a myriad of new technologies and tools to implement to protect their critical assets. This can be overwhelming as numerous options abound. As the attack surface evolves and expands in the cloud, understanding the current state of assets and assessing their risk is an essential first step. Achieving continuous visibility and protection is then the following challenge. 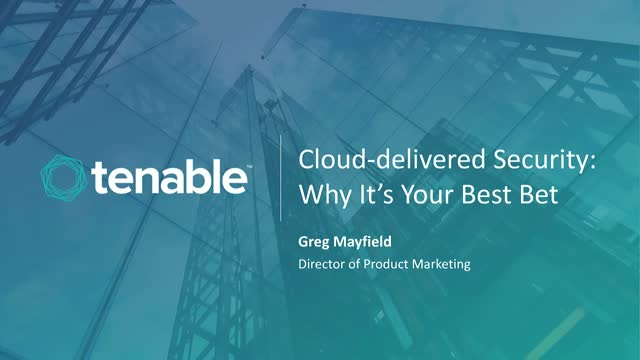 This webinar will discuss the opportunities and benefits that SecOps teams face by utilizing cloud-delivered security solutions vs. traditional on-prem solutions.